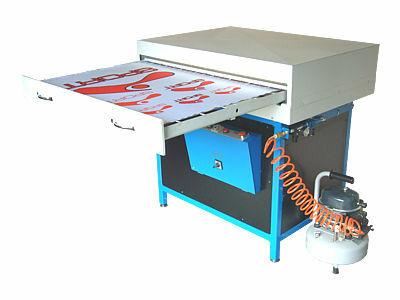 The large format transfer press is suitable for transfering the sublimation inks to the textile, or for heating the disperse inks on a coated fabric. 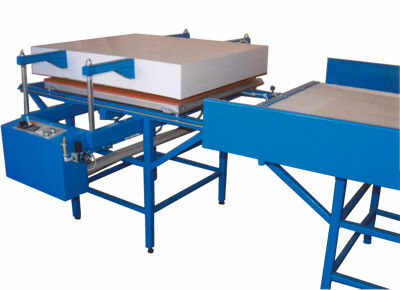 The pneumatic large format semiautomatic transfer press can also be used for heat treating flags or for pressing large format matrices on canvas surfaces. 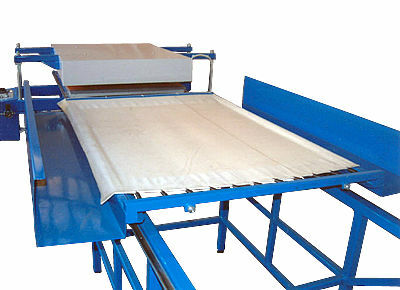 Once the fabric is put on a carriage (rolling on rails), it is then placed between the pressure plate and the heated surface. The pneumatic cylinders push the pressure plate and the fabrics to the heated surface. After ironing the pressure plate automatically sinks back to its original position. The compression force, temperature and the ironing time are adjustable. At the transfer press Type PS - 7 the operator places the fabric and the transfer paper on a drawer. 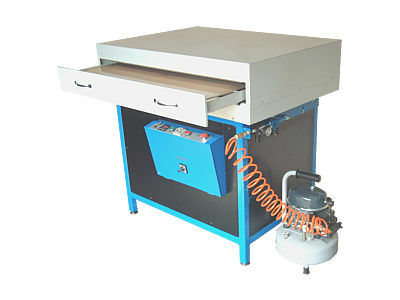 The operator pushes than the drawer - rolling on rails - between the pressure plate and the heated ironing surface. 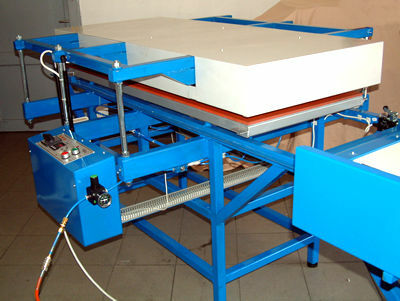 The pneumatic cylinders push the pressure plate and the fabric to the heated ironing surface.